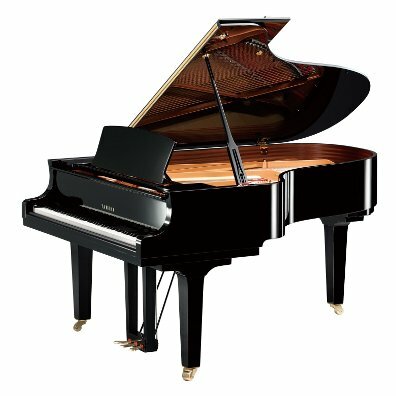 Seasoned for Destination provides peace of mind knowing that the piano was made specifically for use in the United States, thus eliminating the problems found in pianos not seasoned for this climate. The V-Pro Plate ensures that the iron frame is stronger and will, as a result, further improve tuning stability. X Series Soundboard Crown Design provides incredibly rich tone and lengthened tonal sustain. German Piano Wire is considered the finest wire in the world. This provides excellent sound and high durability. Ivorite White Key Surfaces visually present the traditional image and performance characteristics touch real ivory. Wood Process Composite (WPC) Black Key Surfaces have the same performance characteristics as ebony, such as moisture absorption, non-­slip resistance and hardness. German Hammer Felt produces the richest sound, whether playing softly or playing very loudly. Extruded Aluminum Alloy Action Rails are impervious to weather changes and solve the problems caused by wood rails. Soft-Close Fallboard provides peace of mind knowing that the possibility of physical harm from the fallboard closing, along with possible damage to the piano, has been eliminated.